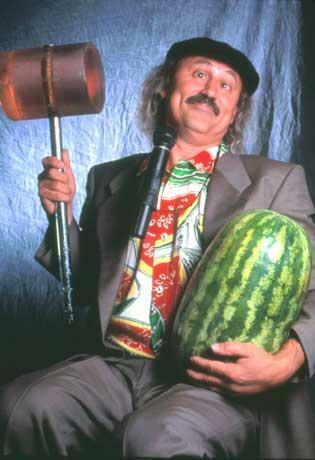 Gallagher’s signature sketch is a pitch for the “Sledge-O-Matic,” a large wooden mallet that he uses to smash a variety of food items and other objects, culminating with a watermelon. Sure, he’s the famous watermelon smasher. Yes, he literally INVENTED the television stand-up comedy special. Absolutely, 14 Showtime specials is a big deal. And certainly 3,500 live shows to capacity crowds is worth mentioning. But how about that he is the reason they invented Comedy Central? Or that before him no one ever had that level of interaction with a live audience? 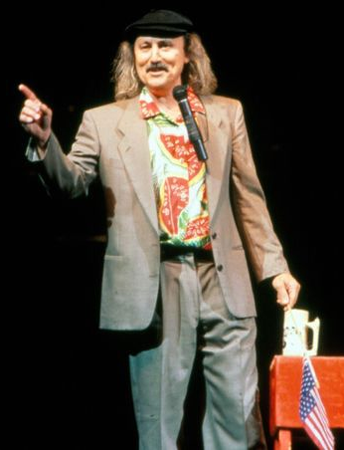 Or that he was the #1 comedian (in ticket sales and ratings) for almost 15 years? Gallagher has led an extraordinary life, with an even more spectacular career. His fan base is one of the most loyal there is, and he rewards them every chance he gets. Now on the Jokes on you tour!